We love this under eye concealer tip!!!! This was the response to her question. Such a great tip for anyone of you who may be dealing with the same problem. 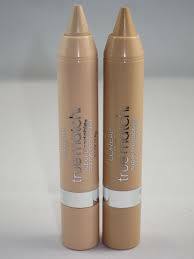 A great product that comes in a crayon formula is the L’Oreal True Match Concealer. We personally love these little guys. They are sooo soft and creamy and won’t settle into those pesky fine lines. Sold at most drug stores or Ulta. ← Julep Maven June Box!